NPL team lists are available under the 2019 squads menu. 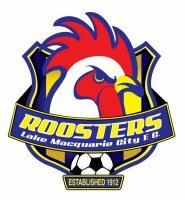 Lake Macquarie City FC is excited to announce the establishment of a new training and development facility in collaboration with Lake Macquarie High School. This new home of our youth development program will provide better facilities and more opportunities for both the club's players as well as students at LMHS. ACCREDITED MEMBER PROTECTION INFORMATION OFFICER - Anthony Mitchell - 0428 125 889 for advice.